iOS power users have a few choices when it comes to sending text messages with fancy iMessage screen effects. There are a lot of fancy ways that the iPhone allows us to communicate with one another — the iPhone X's popular Animoji feature is one such option, but for many users, the old tried-and-true screen effects are the bedazzled message option of choice. 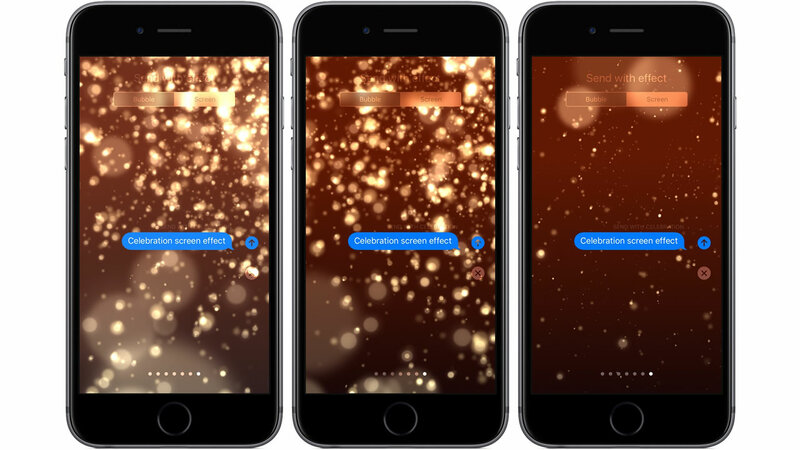 They may not provide much in terms of content, but options like the confetti or fireworks effects certainly add a bit of fun to otherwise-stale text messages, and we've got all the details on how to use them. • First, open the Messages app and select the contact to be messaged. • Type or otherwise compose the message in question, then press and hold the blue arrow until the "Send with effect" dialog box is displayed. • From this menu, swipe around to locate the desired effect, then tap on it to apply it to the message. • Lastly, tap the blue arrow once again to send the message with the attached effect. That's it. There are a number of screen effects to choose from, the likes of which are sure to add that extra spice that makes communicating with an iPhone such a jazzy experience. To stay on top of the latest in iPhone guides and how-tos, including helpful hints like how to disable iPhone automatic brightness, be sure to check out Shacknews' own iPhone category page. For fun, also feel free to check out ten images that sum up the iPhone X reveal event.